Florida is a popular place to live with 2,286 people moving to the state each day. If you are planning a long distance move, you may be wondering what to do with your car. Some people sell it and then buy a new car at their destination. Others decide to drive their car themselves. Are these the best options though? 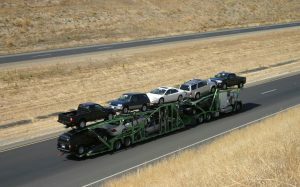 If you haven’t considered professional auto transporters, then now is the time. Keep reading for all of the ways shipping your car will make your life easier. Your vehicle out on the road and in parking lots is continuously at risk of damage. This could be from the weather, road debris, or other drivers banging your vehicle in a parking lot. When your vehicle is on a trailer, it is protected from other drivers by being up high. For the ultimate in protection, put your vehicle in an enclosed transport truck. An enclosed truck will protect your car from the weather, road debris, and theft. If you want to put your vehicle on the safest transport possible, then you’ll want to look up the company’s safety history. You can do that on the Federal DOT website. All you need is the carrier’s ID number. You can learn about the transport company’s safety rating and crash history. If you decide to drive your car across the country to your new home, then it will take time. For example, there are a thousand miles between Maryland and Florida. To drive this distance, you will have to make a time commitment of a few days. That means taking extra time off work or taking time away from packing. This is time spent behind the wheel that you could be doing something else. Work with a carrier that cares about you and your vehicle. Then you can breathe easy knowing that your car is in good hands. Plus long distance driving is stressful both physically and mentally. That isn’t a good combination with the stress of a long distance move. By shipping your vehicle, you don’t have to deal with the stress of driving, traffic, and bad weather. 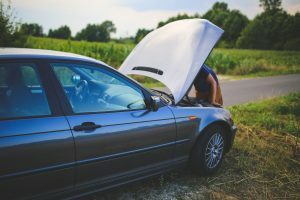 You will also have someone looking out for your car, so you don’t have to worry. Reputable transport companies have insurance. This means that your vehicle is protected while in transport. You can even call your insurance company and ask if they provide any coverage. Many companies offer coverage for your vehicle when you ship it professionally. If something happens, your transport company’s insurance will cover the damage that occurs. This is a simple statistics problem. The less time you spend driving on the road, the lower the risk is of getting into an accident. You may be thinking that the risk is the same because the car is still on the road the same amount of time. However, this isn’t looking at the whole picture. When your vehicle is on a transport truck, it is higher up and not actually on the road. Then if there is an accident, it is the transport truck that is involved, not your vehicle. Don’t be fooled into thinking that it is expensive to ship your car. It can seem this way when you get the quote initially. However, you need to compare this total cost to the total cost of driving the car yourself. Add up all of the costs and figure out the total expense of moving the vehicle yourself. Here are some areas of expense to help you get started. When you add up all of these costs, you will find that paying a transport company will save you money. Driving your vehicle to your new home can put hundreds, if not thousands of miles on your car. This is a lot of wear and tear that is unnecessary. Think about it this way; the average American lives 16 miles from work. That is 32 miles a day, or 160 miles a week. If you are moving 1,000 miles, then that is like driving an extra week’s worth of commute just to get your car to your new home. Now to make this worse, it’s a week worth of driving done straight through at highway speeds. You won’t have to worry about replacing your tires sooner than you planned. The same goes for changing your oil. Both of these experience wear when you drive your vehicle. Finally not driving your car means all of those miles won’t end up on the odometer. Choose the right transport company, and they will handle all of the details of your vehicle transport. This way you can focus on the rest of the details of your move. Look for a carrier that has a strong commitment to customer service. One that is available 24/7 means you can contact them when it is convenient for you. This will become important when you are stressed from the move. 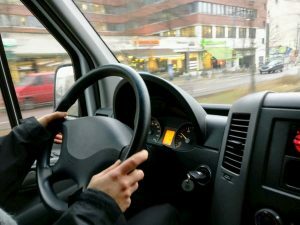 Knowing that your transport company is a phone call away will allow you to focus on the tasks at hand. When you hire professional auto transporters, you can breathe easy knowing that your vehicle will make it to your new home safe and sound. You can focus on your move while your carrier focuses on moving your car. Transporting your vehicle will save you time, money, and effort. For the most benefit though, pick a company that cares about your car as much as you do. Contact us today to arrange the shipment of your vehicle for your big move. What Do Your Dashboard Lights Mean? Geyers Towing was established in 1993. We serve Montgomery County, Frederick County and the surrounding Washington Metropolitan Area, including Northern Virginia. Copyright 2019 © Steve Geyers Towing & Auto Transport. All rights Reserved.